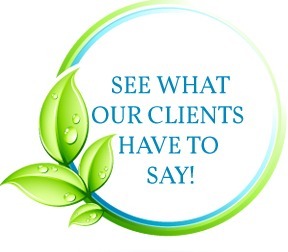 Hear what our clients have to say about us..
At Dolphin Touch Wellness Center we are consistently striving to improve the quality and care we provide to our clients to ensure a truly unforgettable experience. I can’t wait to come back in November as I have unfinished business there for sure. I hope to stay longer and as soon as I work out some dates I will take up Dawns offer of booking me a cabin up the mountain for a few days. I wondered also if you could contact the other Jeanne with the harp as I have had no luck with the email address that was on the paper work with the harp, she may have a more recent one or another contact , thanks. “I forgot to tell you about the beginning of our session ? The Aqua Dolphin Touch Therapy was amazing! I had pain with my right ankle for over three weeks and the therapist worked the area carefully. After the treatment the area was feeling much better. I have received total clarity! Very In-lighting and uplifting, Jeanne was right on in her assessment. I found a like spirit that brings hope and peace and finding kindred help. Great Experience! Angelique is very knowledgeable, Intuitive and just an all around great massage therapist. Jeanne is amazing! She has such a healing presence with a deep commitment and compassion to serve the needs of everyone. 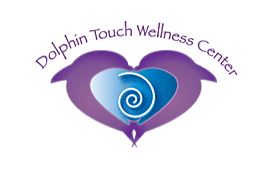 I’ve had tons of sessions and my experience with Jeanne at Dolphin Touch was phenomenal. She is a powerful healer with a very giving nature and a Gem on Kauai. I highly would recommended her services. Jeanne took me on a magical journey of sensation, vibration and sound with the dolphins. When she finished I got up from the mermaid ocean table feeling like a whole new person, with a brighter vision of the world. Very calming and relaxing experience! I loved the “Dolphin Table”. The Consciousnesses class that I attended was Excellent! It helped bring me to a conscious level that we are all the creator of our reality. The class increased my communication with higher consciousness and I developed a trusting of information. I arrived to the center full of stress and pain and I left with a feeling of lightness-no stress, no worries and full of energy and joy. It was an remarkable experience! After receiving my massage I felt very relaxed and the pain I was suffering from greatly decreased, I was able to lay on my back again without tension and discomfort.